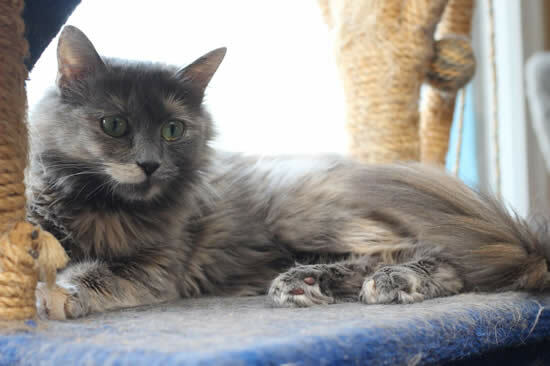 Gray Lady was surrendered to a rescue organization and subsequently transferred to the PAW Society. Apparently, this little girl had been a stray for quite some time, roaming the streets of a small town outside of Lethbridge. She was very thin when rescued but is now fully recovered. 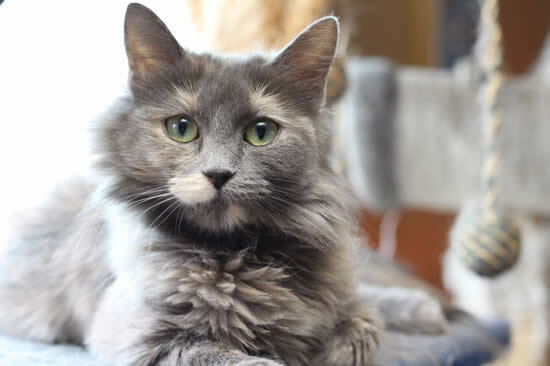 It would be difficult to find a sweeter cat than little Gray Lady! She is extraordinarily gentle and relaxed, wanting nothing more than a person of her very own. Torties want deep relationships! She's a happy, well socialized girl, but loves the opportunity for a little fun too - even better if a human is willing to toss the toys or fling the string toy. 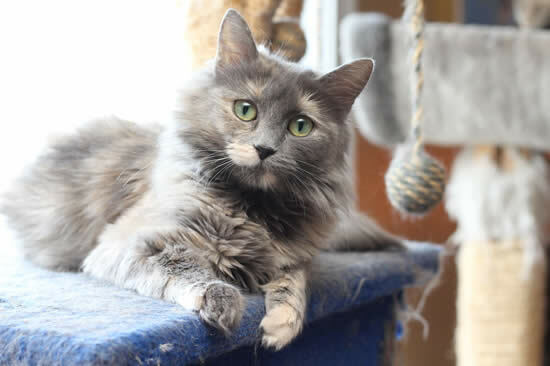 She's even good with other cats - so yes, if you're wondering if she's perfect, we'd say she is! She also doesn't mind sharing her foster home with a little old dog.